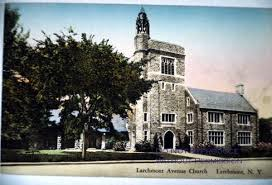 On May 17, 1914, 40 people met at the Larchmont home of Emily Lindsley, daughter of a Presbyterian minister, to form the congregation which would become the Larchmont Avenue Church. They were united by faith in their desire to establish “a church in the Reformed tradition” in Larchmont. 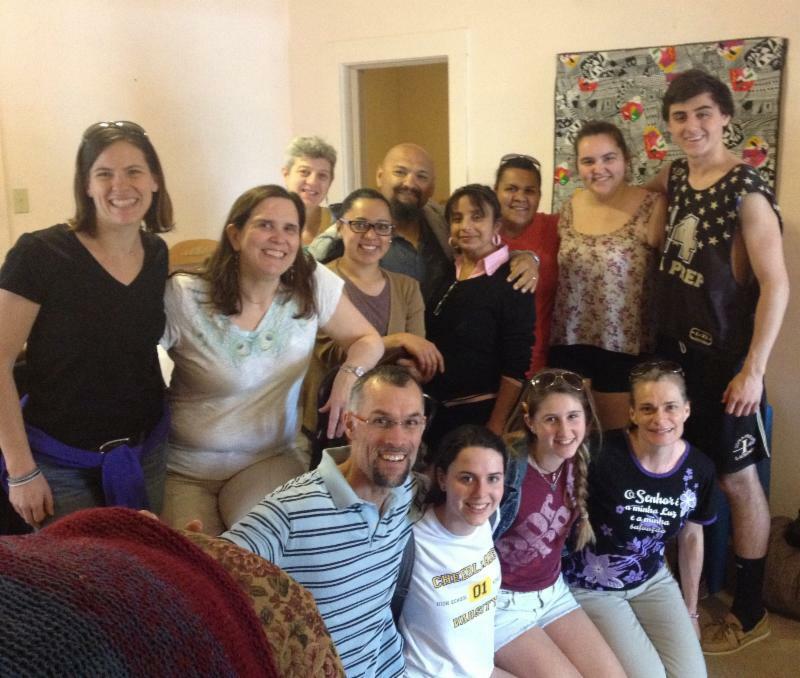 Within a few months, they had formed a Sunday School and formally organized under the Presbytery of Westchester. Services were held in artist Helena Flint’s studio carriage house, but the rapidly growing congregation soon needed a permanent home. 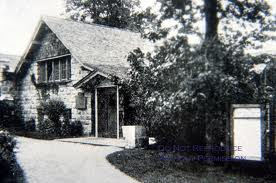 Land was purchased at the corner of Larchmont and Forest Park Avenues, and by December 1915 the “basement church,” now the Carhart Room, was completed at a cost of approximately $6000. Rev. Charles Carhart became LAC’s first pastor. By 1919, the church was already outgrowing the basement space; some Sunday School classes were forced to meet in the furnace room. A building fund was established for a permanent church. Activities were many, including the Women’s Society, Men’s Group and Mission Society, and up to a quarter of the church’s budget was devoted to benevolences. In 1922, Rev. Dr. Robert M. Russell was installed as LAC’s second pastor, and in 1925 the Parish House or Church House, now Russell Hall, the Lindsley Room and the church offices, was dedicated. LAC aimed to be “a 7-day church for a 7-day need,” and many community organizations used the new space, among them the Women’s Club, the Garden Club, the Men’s Club, the Society of Friends and the Masons. 1926 saw a membership of 400, with 450 children enrolled in the Sunday School. In 1929, the collapse of the stock market came as LAC embarked on its ambitious campaign to build the Sanctuary. Inspired by the following song (to the tune of “Take Me Out to the Ballgame”) the congregation succeeded in raising funds, and the present Sanctuary was dedicated on November 2, 1930. Take us out of the basement, Take us up in the air. Give us some cushions to sit upon, So we can sleep while the sermon is on. Let us root, root, root for an organ, And a roof that won’t leak in the rain. So let’s give, give, give till it hurts, For the church campaign. In 1931, the Rose Window, the first of LAC’s beautiful stained glass windows, was installed as the financial crisis deepened in the nation, Larchmont and at LAC. In 1932, the church budget was reduced by one-third. Rev. Russell took a pay cut, and members brought in their old silver, gold and jewelry to be sold to fill the coffers. Despite these efforts, by 1934 LAC was at risk of foreclosure. Rev. Russell offered to take another reduction in salary, but his offer was refused by the Trustees, who managed to renegotiate the church’s debt. Despite these troubles, LAC continued all its functions, even benevolences, and Dr. Russell founded the Larchmont Organization for Unemployment Relief, later the Larchmont Aid Society. Better times lay ahead; by 1938 the church had cleared all its debt except the mortgage and membership had grown to 1207. The Sunday School was the largest Presbyterian Sunday School in Westchester. Having guided the church through a difficult period, Rev. 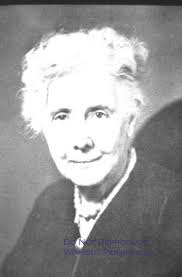 Dr. Russell resigned for health reasons in late 1939. In January 1940, Rev. Floyd McGuire became the third pastor of the Larchmont Avenue Church. Religious involvement in the United States increased as the nation entered World War II, and so did membership, attendance and pledges at LAC. From 1941 - 1944, the Red Cross used LAC’s Church House facilities for its war work. The Couple’s Club, Doublets, 4th Friday Fellowship and Men’s Association were all formed to strengthen fellowship among church members. Sunday School enrollment continued to increase, and by 1942, two sessions were needed to accommodate the students. On October 18, 1944, Emily Lindsley died, having seen the church grow from 51 members to approximately 1500.The rapid growth of LAC created opportunities and challenges in the period after the war. Rev. Herbert Landes became the first full-time assistant minister in 1946. In 1947, the great West Window, the “Christ of the Resurrection” window, was installed as a memorial to the men and women of LAC who served in the Armed Forces in World War II. In 1963, Rev. McGuire preached a sermon on the assassination of President John F. Kennedy. LAC’s 50th anniversary celebration took place in 1964, and was launched with an all-day event at which the speakers included the pastor of the first church to integrate in Ohio, and another who had just returned from civil rights marches in Mississippi. In conjunction with the celebration, Alice Holby wrote a history of the Larchmont Avenue Church. After serving for 24 years as LAC’s senior pastor, Rev. Floyd McGuire retired in 1964, having seen the church through an extraordinary period of growth. He was succeeded in 1965 by Rev. James Emerson, as fourth pastor. In 1966 The Prompter became the combined regular newsletter and worship bulletin of the Larchmont Avenue Church; it was published weekly and mailed to all members on Friday, as well as being distributed at worship. In 1970, Rev. Emerson was succeeded by Rev. Calvin DeVries. It is worthy of note that two of Rev. DeVries daughters were later ordained to the Presbyterian ministry: Rev. Janet DeVries and Rev. Nancy DeVries. The Larchmont Avenue Church Nursery School (now the Preschool) was founded in 1974, utilizing the Church School classrooms during weekdays. It began with 12 four-year-olds and now serves over 150 children aged two to four from the church and the community. Original director Joyce Guimaraes is still director in 2014. Rev. Richard Martin became LAC’s sixth pastor in 1978 and in December of that year the first annual Advent Workshop was held. The 1970s and 1980s were challenging times for churches, as society became more secular and life and work more demanding for congregants. LAC saw a gradual decline in membership, but new initiatives kept the church a vital part of many lives. Fellowship outreach during the 1980s took the form of the Candlelighters young married group, Steak Under the Stars, the first annual Block Party in 1985 and the events surrounding LAC’s 75th anniversary in 1989. Tot Drop, a cooperative morning babysitting group, began in 1983. 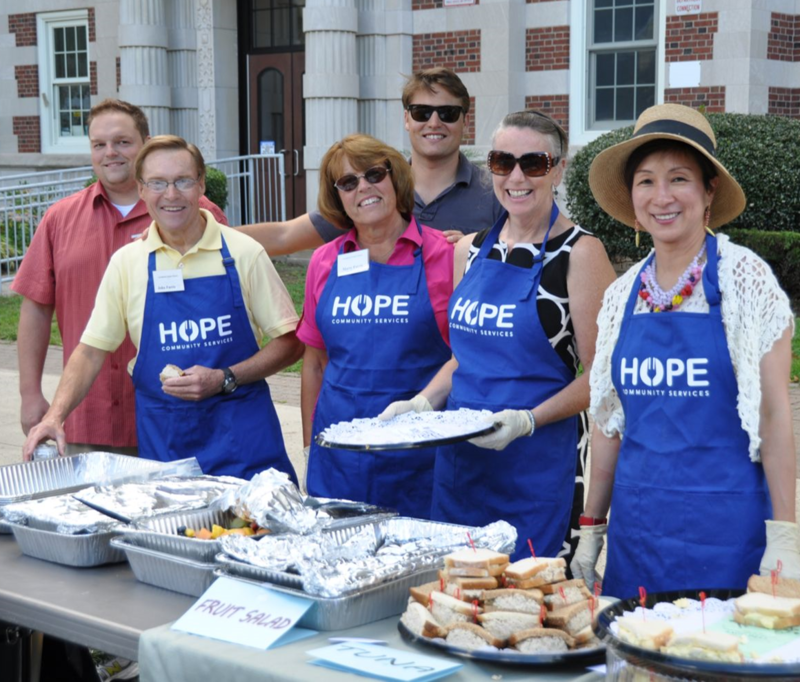 Nor was outreach to the community neglected; LAC began its support of HOPE, delivered hot meals to homeless families at the Larchmont Motel and contributed to Oxfam America. The Memorial Garden, where the ashes of LAC members rest, was created in 1982, and in 1987 LAC purchased its first office computer. In the late 1970s forward looking church leaders began a fundraising campaign to build LAC's Endowment. The Endowment was established in 1958 from unrestricted bequests, but the fund was increased substantially by the campaign of the 1980s with a stated goal to provide for major capital needs beyond the resources of the yearly operating budget. The Endowment continued to grow through market appreciation, bequests and additional gifts. Generous members, many of whom are still active at the time of our Centennial, have exhibited their faith in the future of LAC by contributing to the Endowment. Income from the Endowment today provides critical financial support for our beautiful but aging church buildings. In the 1990s, LAC membership stabilized in the low 800s. The Midnight Run began in 1992, in cooperation with Larchmont Temple, bringing meals and clothing to the homeless in New York City. 1994 was designated as a “Year of Outreach,” within the congregation and to the community. Throughout the decade, the Festival Choir presented concerts of great choral works, with orchestra, every spring. The music program was also aided by the donation of a Steinway concert grand piano for the sanctuary, and the establishment of a handbell choir. 1997 was a year of transition, as senior pastor Rev. Martin resigned after 19 years at LAC. Rev. Lincoln Richardson served as interim pastor in 1998, and on October 17, 1999 Rev. William P. Crawford was installed as the seventh senior pastor of the Larchmont Avenue Church.
. 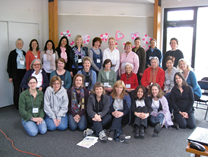 The first of the popular annual Women’s Retreats took place in 2000. At the end of December 2001, a group of 20 travelled to Nicaragua on the first LAC Mission Trip, which became an important LAC outreach to the world. 2006 was “a time of discernment” at LAC, as Rev. Crawford and church members worked to resolve questions about the direction of the church going forward, aided by a report from the Alban Institute. 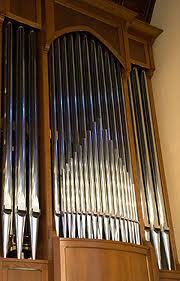 At the end of 2000, Session authorized a campaign for a new pipe organ, to replace LAC’s failing electronic organ. In 2002, worship moved to Russell Hall as the Sanctuary underwent construction to prepare for the organ installation, as well as accessibility modifications, reconfiguration and improved lighting and acoustics. Worship returned to the sanctuary in December 2002. Installation of the Konzelman pipe organ, with 2916 pipes and 51 ranks, was finally completed and a service of dedication was held on November 23, 2008. In the 2010s, membership in the Larchmont Avenue Church is once again increasing, especially among families with children. In preparation for the centennial, there have been upgrades to the physical plant of the church, including renovated women’s and men’s rooms, new windows in the Christian Education Building and air conditioning in Russell Hall. Communications have also been addressed, with a redesigned website, an LAC Facebook page, weekly online Church Notes and blogs from Mission travelers. The “Raise Your Hand” initiative aims for 2014 hours of community service performed by LAC members, and the stewardship campaign, “What’s Your Story?” emphasizes the personal faith journeys of contributors.